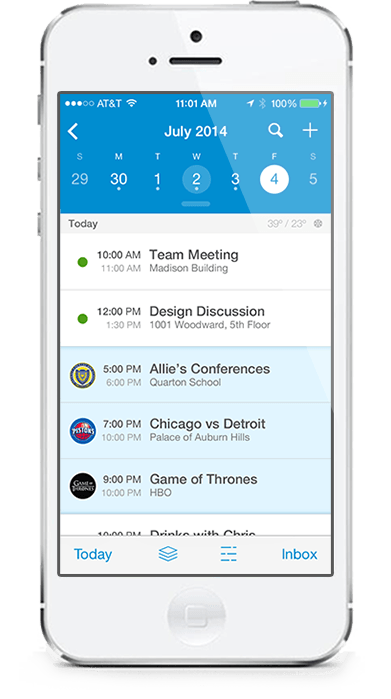 UpTo is the first calendar app to track all of the upcoming events that you care about, in one spot. On the surface, UpTo is a simple, familiar view of your calendar. But there is much more happening, underneath it all. 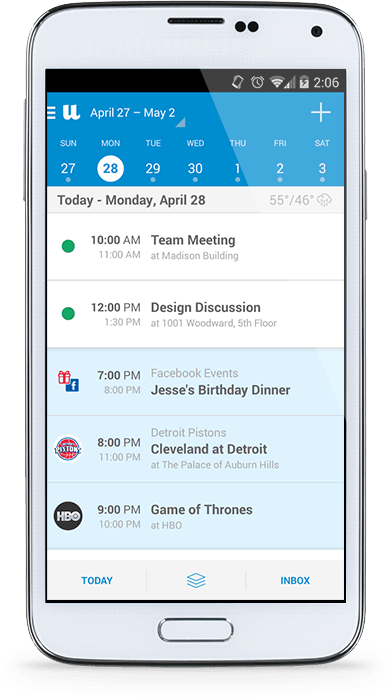 UpTo lets you follow the calendars that you care about - from your favorite sports teams and TV premiers to movie releases, local concert venues, and more - so you never miss an important event again. "Tried SO many and love this one. Absolutely love this calendar app! Clean easy to use. Like how today is highlighted and the holidays and my vikings games have special icons. Easy to set up new appointments. Clean easy to read widget." "I love this calendar app! It has replaced my generic one from Apple. I manage multiple calendars, and with the layers function, my primary calendar is always on top unless I want to see another. Very clean, elegant, simple."